Home Spring Math & Science - The Early Bird Catches The Worm! Spring Math & Science - The Early Bird Catches The Worm! Simply place the worms in a basket and, once they've caught them all, dump the worms back out for another student to 'catch'. 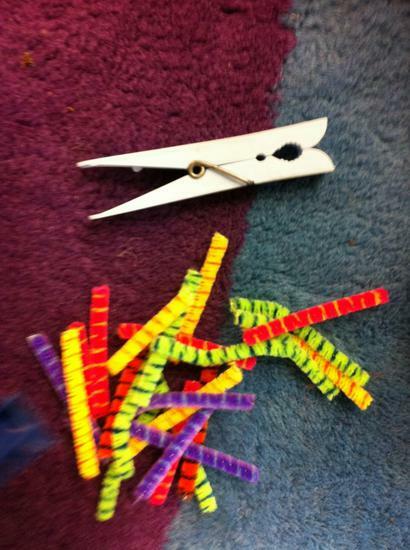 Sort the worms by color onto a sorting mat or into color coded cans created from recycled Pringles cans. Sort the worms onto counting mats - identifying the numeral at the top of each mat, then 'catching' and placing the appropriate number of worms on the mat. Whatever variation you decide to, we know your preschoolers will have a blast with this learning game!